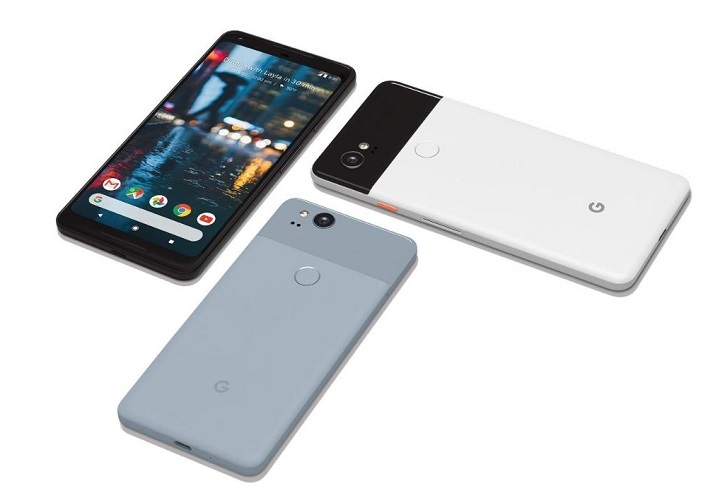 Google Pixel 2 XL -also known as Google Pixel XL2- is the bigger version of the new Google flagship phones, sporting a bigger display size and bigger battery capacity than its junior colleague: Google Pixel 2. The Pixel 2 and Pixel 2 XL are the first to come with built-in SIM chips known as electronic SIM (e-SIM), earphone jack has been eliminated on the phones. Another major highlight of the new Google Pixel phones is their superb camera output, they are currently the smartphones with best camera quality according to DxOLabs camera review, after dethroning the likes of Samsung Galaxy Note 8 and iPhone 8 Plus. Google Pixel 2 XL comes in a big P-OLED display that measures 6.0 inches and has a resolution of 1440 by 2880 pixels, leaving its pixel density at 538 Pixels Per-square Inch. The Pixel 2 XL is powered by the same Octa-core processor with Qualcomm Snapdragon 835 SoC and 4 GB RAM just as the base variant, it also has two internal storage space models; 128 GB and 64 GB with no external storage option. Google Pixel 2 XL boots the latest Android version which is the Android 8.0 Oreo, the device is entitled to receiving subsequent system updates and probably Android P upgrade when is becomes officially announced. The same 12 megapixels rear camera with an aperture size of f/1.8 is available on the Pixel 2 XL, the front uses an 8 megapixels camera with f/2.4 aperture and no selfie flash. The back camera has a LED flash with dual-tone. 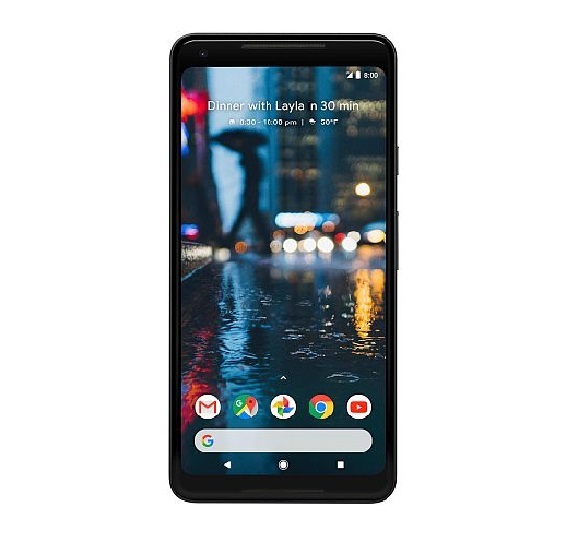 Google Pixel 2 XL is a Nano SIM smartphone with electronic SIM technology (e-SIM) which are built-in SIM chips that cannot be removed, available sensors include the accelerometer, fingerprint, ambient light sensor, and proximity sensor. Available connectivity options on the Pixel 2 XL are 4G VoLTE, Wi-Fi 802.11 b/g/n, Bluetooth v5.0 and Micro-USB Type C 1.0 that supports reverse connection. Google Pixel XL2 measures of 157.9 x 76.7 x 7.9 mm in terms of body dimensions and weighs about 175 grams. You will get to choose from Kinda Blue, Just Black and Clearly White colors if you intend buying the device. The Pixel 2 XL crams a non-removable 3,250 mAh battery with fast charge technology. The Pixel 2 XL has a heavier price tag of 750 USD which is really not surprising, its price in Nigerian currency is roughly 270,000 naira and Rs. 48,999 in India. It will be sold via Google stores and some online and offline retail stores across the globe starting from October 2017. OnePlus 3 full specifications, features and price.